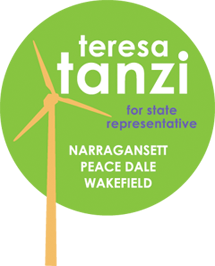 WAKEFIELD – Rep. Teresa Tanzi (D-Dist. 34, Wakefield, Peace Dale and Narragansett) joined Wakefield Elementary School students today in celebrating International Walk to School Day, and helped unveil two new bike racks acquired for the school through a legislative grant she secured. Students who participated formed a parade from Main Street to the school, located on High Street in Wakefield. They carried a banner, and received stickers and medals provided by the Audubon Society of Rhode Island. Representative Tanzi participated in the parade along with her daughter Delia, a first-grader at the school. 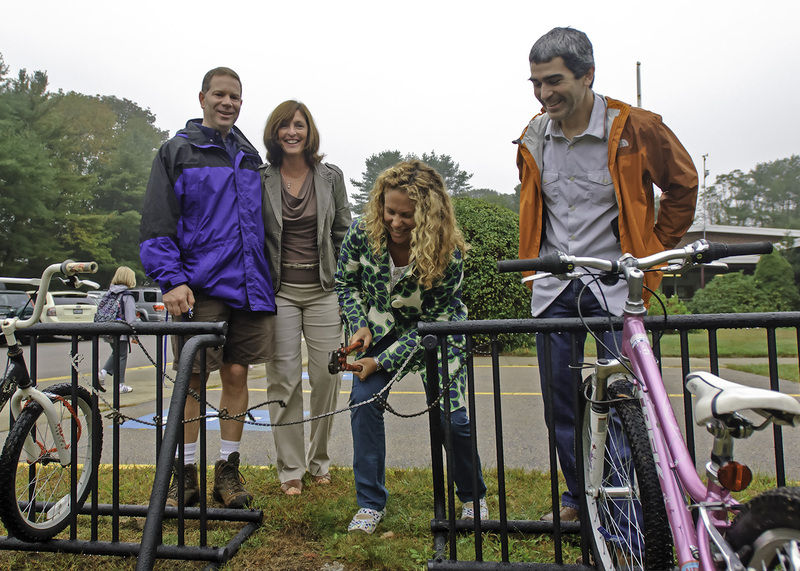 As part of the event, Principal Lynn Dougherty unveiled two new bike racks, purchased through an $1,800 legislative grant Representative Tanzi secured for the school, and participated in a "Bike Chain Cutting" ceremony. The racks were purchased at wholesale through the generosity of local bicycle shop W.E. Stedman Co, who also provided assistance in assembling them. Today’s event is the kickoff of Walk or Bike to School Wednesdays, a townwide initiative to encourage students to walk or bike to school regularly. The campaign was conceived by parents and coordinated through the Healthy Places by Design project, a joint effort by the Town South Kingstown and the South County Branch of the Greater Providence YMCA to promote active healthy lifestyles in part through community design and planning that encourages walking and bicycling. Representative Tanzi is on several of the Healthy Places by Design sub-committees. 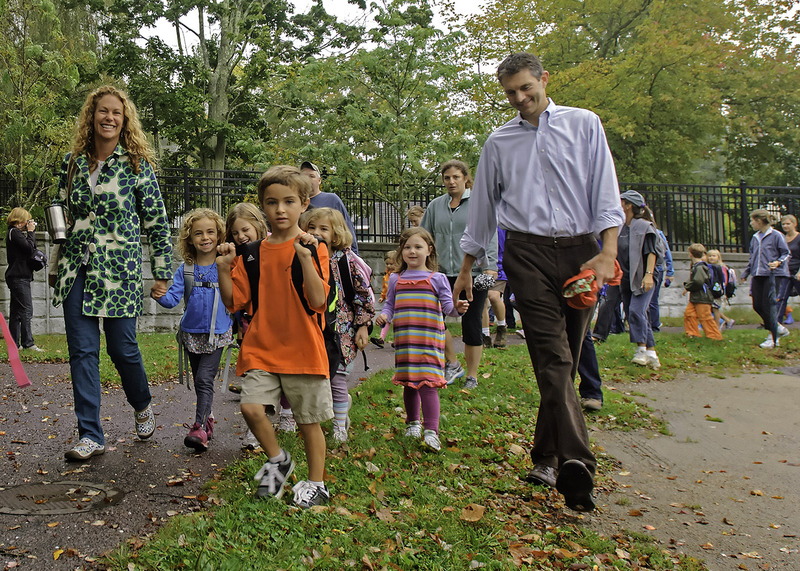 International Walk to School Day began in 1997 to encourage communities to adopt more pedestrian- and bicyclist-friendly street design, and is aimed at encouraging children to develop a lifelong healthy habit of walking or biking whenever possible. For more information, visit www.walkbiketoschool.org.